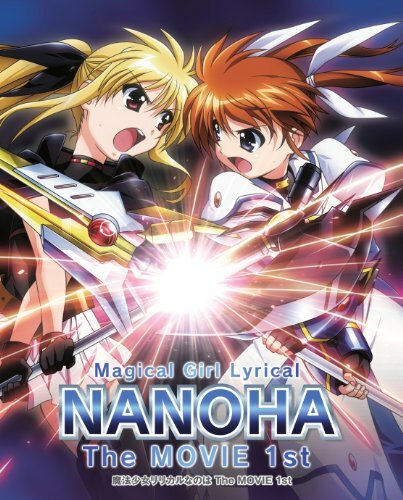 Blu-ray release of "Magical Girl Lyrical Nanoha The MOVIE 1st." Limited edition features special packaging and includes 2 blu-ray discs, 52-page booklet and more. Magical Girl Lyrical Nanoha is an anime television series directed by Akiyuki Shinbo, with screenplay written by Masaki Tsuzuki, and produced by Seven Arcs. It forms part of the Magical Girl Lyrical Nanoha series. ::: The storyline follows Nanoha Takamachi, a nine-year-old Japanese girl attending elementary school, who lives with her parents and her older siblings. Nanoha's regular everyday life ends when she rescues an injured ferret who reveals himself as a young shapeshifting mage named Yūno Scrya. An archaeologist from a parallel universe, Yūno came to Earth to collect a set of twenty-one dangerous ancient artifacts named the "Jewel Seeds" that he first discovered in his own world. Jewel Seeds give living beings who come into contact with them unnatural powers, often turning them into monsters, and Yūno, injured while trying to collect them, must now rely on Nanoha while he convalesces in ferret form.